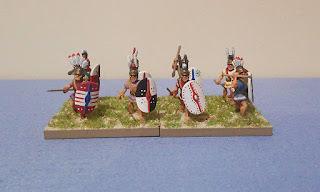 I'm taking a short rest from 6mm to get some of my Roman allies done. 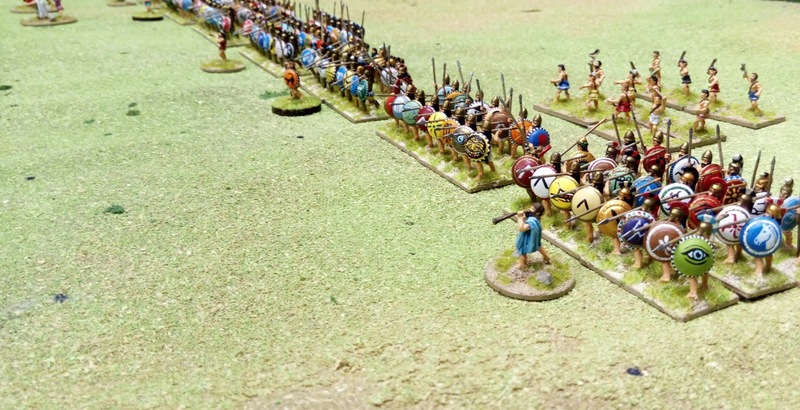 These guys, who seemed quite small, now seem like giants compared to painting the really little guys. Actually, one of the reasons I wanted to have a rest from 6mm is because I found myself starting to get too bogged down with detail. And those little fellows don't need that. 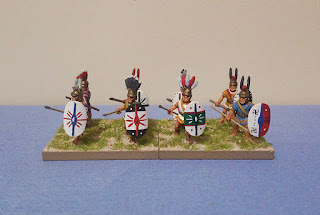 I did a few Italian skirmishers a while back but I wan't really happy with them. 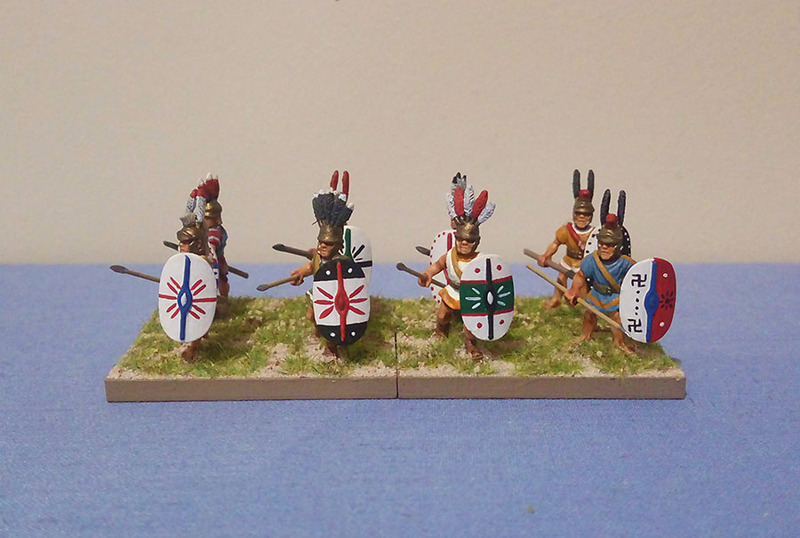 So I went back and painted up some designs on their shields. Nothing too complex, just some simple designs. This makes them look a bit better. On the other hand, I tried painting designs on the heavy infantry and that proved to be really difficult. I thought I could do it as I'd previously painted all the designs on my Greek hoplites but these guys are more in the Hellenic fold. 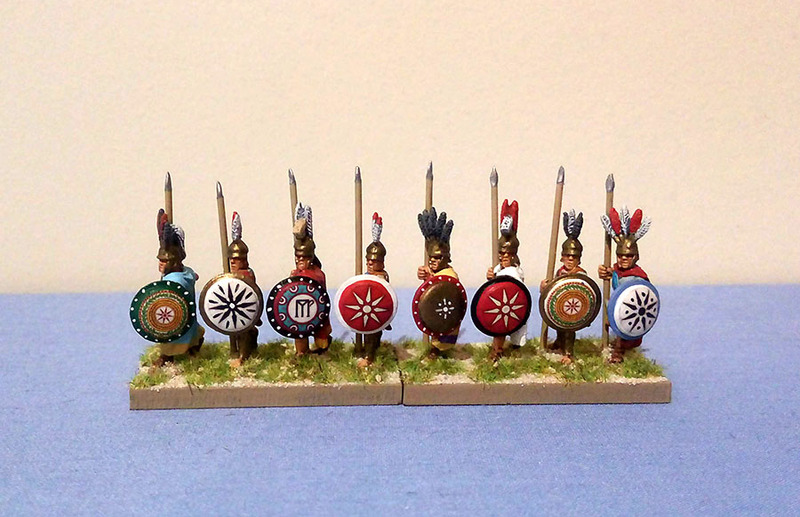 All those geometric Hellenic designs are way too fiddly and detailed so I decided to use decals. Unfortunately I didn't have a any decals suitable for Italians so I used some extra phalangite decals that I had left over. They don't really fit but they do the job with a little bit of extra free-hand painting. 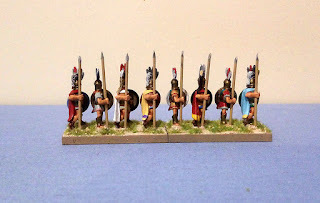 I've ordered the Little Big Man Studios decals for Xyston Italiotes and when I get them I'll just mix these couple of bases in with the others, so they shouldn't stand out too much. Other than that; they look nice. Plenty of colour to catch the eye. 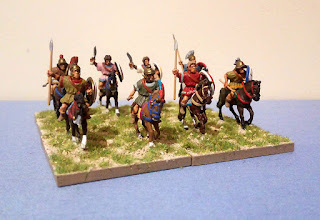 They should look nice next to their Roman overlords (unless they defect to Hannibal). 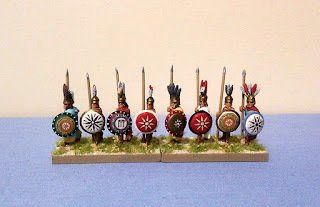 Some of my freehand hoplite shields. 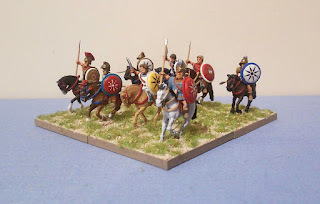 I also finished some Tarentine Cavalry. 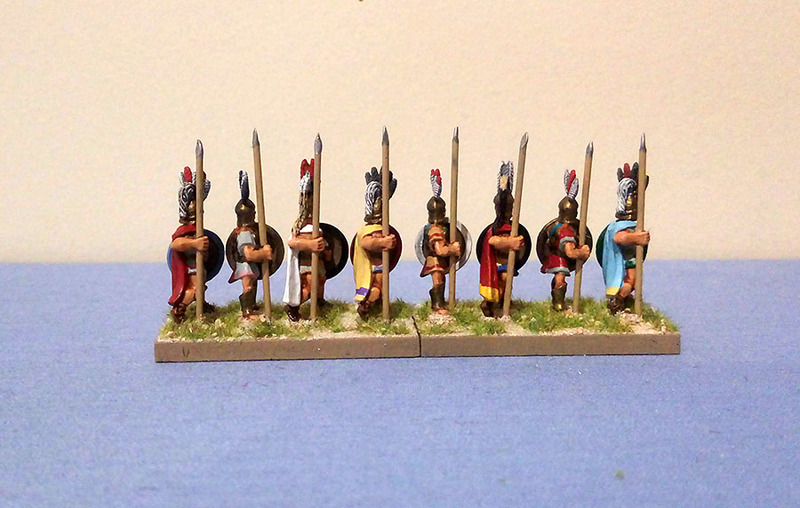 I started these before getting into the 6mm stuff so they sat on my paint table, half completed for a while. 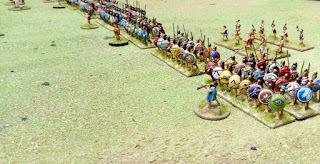 Folks who read this blog with have noticed that I'm quite fond Xyston figures. They make some of the best 15mm miniatures on the market - They also make Tarentine Cavalry. I don't really think these figures come up to Xyston's usual standard. Same deal with the shields. 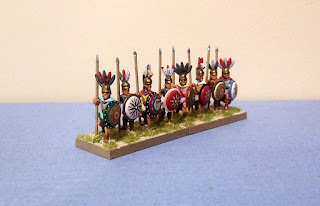 I used left over phalangite decals and painted a couple by hand. 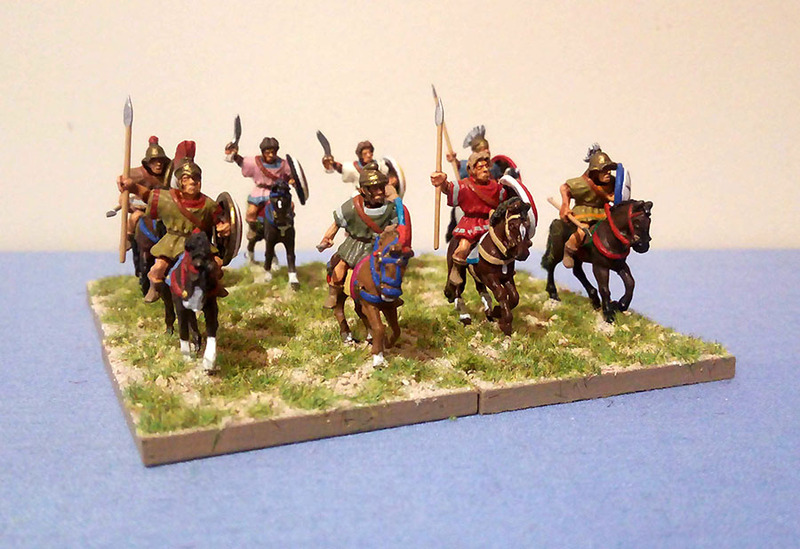 They should work well with my Successors or they can also be used as part of the Italians cavalry alae. Next up: I've added some more ships to my Successor fleet and I'll post them when they're finished.